Studio 8 Architects is an energetic multi-disciplinary and award winning practice - architecture, landscape and urban design. 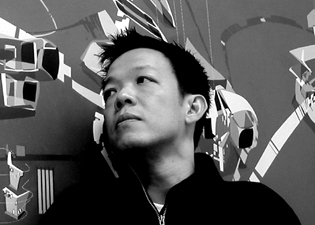 Founding director, CJ Lim, is also a Professor at the Bartlett, UCL. The practice’s innovative designs focus on interpretations of culture, social, and environmental sustainability programmes. Projects range from cultural and community centres, residential to eco-cities and parks. Their celebrated project of East-West identities “Virtually Venice”, represented the UK at the Venice Architecture Biennale 04, was commissioned by the British Council. Selected projects are in permanent collections of the V+A Museum London, FRAC Orleans and RIBA British Architectural Library. Monographs include “441/10” (1996), “Sins + Other Spatial Relatives” (2001), “How Green is Your Garden?” (2003), “Museums [work in process]” (2004), “NeoArchitecture: Studio 8 Architects” (2005), “Virtually Venice” (2006).